A Doctor of Optometry is a primary health care provider who diagnoses, manages, and treats conditions and diseases of the human eye and visual system as regulated by state law. Of what does an eye exam consist? 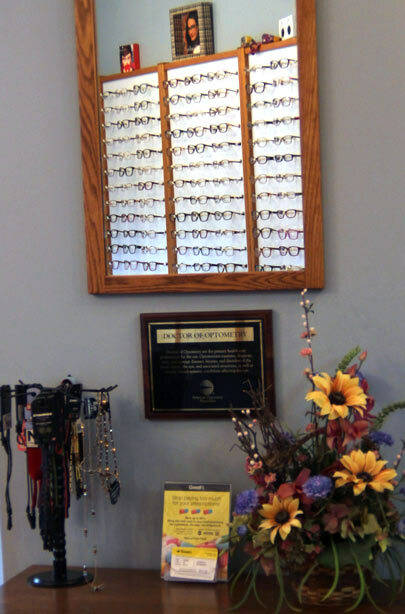 An eye exam begins with a thorough health history including any past or underlying problems, present eye-related symptoms, allergies, and medications. Tests are performed to assess binocular function, eye turns, and focusing problems, as well as supplementary tests such as color vision and depth perception, as indicated. Tests are performed to determine the refractive status of the eyes, whether near or farsighted, with or without astigmatism, as well as the lens prescription for best, clearest vision at all distances. Tests are performed to discover eye diseases or ocular manifestations of underlying systemic diseases such as diabetes or high blood pressure. If you use contact lenses, you should wear them to the exam so the lens fit and contact assisted vision can be evaluated. You will most likely be permitted to wear your contacts home after the exam. Expect to spend at least one hour at the office. Any additional specialty testing will require extra time. Why do I need drops to enlarge the pupils? The standard for adult eye exams has come to include a dilated fundus exam. The pupils are enlarged with eye drops, enabling a magnified, 3-D inspection of the inside of the eyes for disease, even out into the nooks and crannies, where problems often arise. The relatively large pupils of a child's eyes, coupled with special instrument features, often permit careful inspection of a child's eyes without dilating drops, however their use is mandated in special instances such as blunt trauma, presence of certain symptoms, or presence of underlying disease such as diabetes. Driving a short distance afterward, using special caution, is usually permissible, but it's not a good idea to drive long distances, weld, or work with or around power tools or other hazardous equipment for 3 to 4 hours until the drops wear off. You may wish to bring a driver with you, for added comfort and safety.